NecroGate.wordpress.com NEW Mardukite Necronomicon Anunnaki Legacy Web Site by Joshua Free! FIRSTLY… Thank you for taking the time and initiative to visit us! 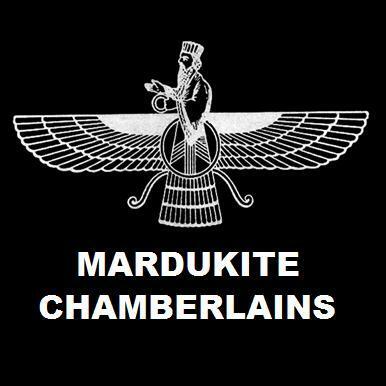 Welcome to the NEW Mardukite NecroGate official wordpress-driven blogsite for news, updates and information regarding the Necronomicon Anunnaki Legacy of the Mardukite Chamberlains, a division of the Mardukite Research Organization (MRO) in cooperation with the Mardukite Truth Seeker Press and its affiliate umbrella: Mardukite Ministries. We are currently on the brink of amazing new breakthroughs advancing the systemological fields of practical metaphysical technology, quantum psychology and other extraordinary developments being drawn from the most ancient spiritual texts on the planet — archaeological recover of cuneiform tablet writings of Mesopotamia (Sumerian, Babylonian, etc.) — revealing critical groundbreaking insights into human behavior, societal systems, truth and knowledge of reality: its experience and engineering… just to relay a few of the facets; by no means an exhaustive list. Pardon our dust as we develop this new and usual site while enjoying the growing features colorfully displayed to access the work that will be brought forth to the public via this medium. Several other official Mardukite-sponsored sites will be brought online to correspond to this new alternative direction to (temporarily) replace the absence of the data server that has been our cornerstone for the past five years, currently eliminating access to our previous sites, blogs and hosted forums. and thank you for your participation!